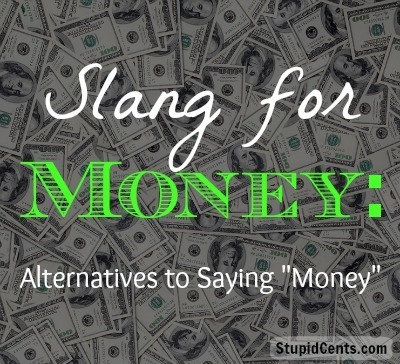 Slang for Money: Alternatives to Saying "Money"
Are you bored of using the same old words? The English language has a great deal of variety, so there’s no reason to get tired of saying the same thing. In fact, once you add in the slang that comes with our language, you have almost infinite variety in your word choice. Some of the slang for money has roots in the way the money looks. Since bills in the United States are traditionally green in color, slang terms like greenback and frogskins aren’t very surprising. In some cases, the slang for money is actually borrowed from foreign languages. Sure, we mean dollars when we say shekels, even though though the shekel is the currency in Israel. “Gelt” means “money” in Yiddish. It’s not new for English to appropriate other languages’ words, and they make great slang terms, as you can see. So, if you are getting bored with just referring to your money as money, think of another way to say it. You might get some funny looks, but it’s a fun way to talk about finances. Wonga is used as slang here in the UK for money, but has become a little less popular after the creation of the payday loan company Wonga.com.